FCP is a community driven website with some truly amazing members who have achieved some remarkable goals. FCP recognizes those members who regularly contribute to the FCP Poker Forums or excel in playing poker both live or online. Our administrative staff carefully selects a new member to feature throughout our website for a two week period not only to boost egos but also to give respect back to the community. Mark started playing poker back in the Moneymaker era in high school. He would play small 6-10 person tournaments once every other week or so before taking a liking to the game. Once he reached college he discovered online poker. During his freshman year he would find himself redepositing $50 over and over after losing it in the cash games. It wasn’t until the end of his freshman year that he explored playing online tournaments. He joined an online training site and started tweaking his game. Later that fall, with his game improving he decided to give the WCOOP a try. Unfortunately he got crushed in the tournaments and lost a ton of his roll, and that was when he was contacted to become backed for the first time. He has played high stakes tournaments backed ever since on the major sites. Discussing hands with Rdog, Wandigo, No Not Baxter, GrinderMJ, and BKice was very key for his early development, and more recently with SN8WMAN is what has taken his game to the next level. Mark usually only plays on Sundays, but occasionally will play the weekday $1k’s if he gets time off from school, as well as HU SNG’s, which he believes is a very good tool for improving someone’s game. “They can teach key aspects of the game with the most important being getting the most value out of your hands and how to do so.” Mark is undecided about next year, but most likely will take a year off to travel and hopefully play some WPT’s and EPT’s. Mark’s biggest scores have been 2nd place in 160 rebuy for $42k, 6th in ftops for $48k, 5th in PokerStars $1k for $22k, and a few other $20k scores in the big buy-in tourneys. Mark’s been an FCP Member since October, 2005. He discovered FCP after reading Daniel’s blog and venturing his way into the forums. Matt (Acid_Knight) started playing poker as a college freshman back in 2001, playing small freezeout tournaments with friends for $5 or whatever they could afford. After losing several sessions, Matt started to figure out why he wasn’t winning. He started reading poker books and things just kind of progressed from there. Matt always had a job and never really knew anything about bankroll management because he would always seem to be able to scrounge up the $50 that he wanted to stick onto the poker sites. He’d deposit $50 and run it up to $400 and then to a few grand, but always seem to have about 20% of his roll on a table at a time. Before he had the skills to be doing so, he found himself playing 10/20 NL or even 100/200 LHE online with an 8k roll that was probably $700 about 2 weeks before. He was a loser player at the game for the first 2- 3 years before becoming a break even player. In October 2005, Matt won a $109 nightly tourney with about 500 people earning $10,000 – his biggest score yet. Three days later, he took 2nd place in another $109 tournament for about $4,000. About 8 months down the road he took down the same nightly tourney. Matt moved to Las Vegas in June 2006 to be a structural engineer. He had a good job, but that summer he spent about 20-25 days a month playing 5/10 and 10/20 NL live in Vegas. He even played 25/50 on a few occasions. It was also around this time that he stumbled into the FCP No Limit Texas Hold’em Strategy Forum for the first time. Since work was quite often boring, he would often post replies in every thread, offering advice and absorbing the advice that others offered. He continued to post there for about a year before realizing that there were other parts to the forum. Back in January 2008, he discovered Heads Up online. It suited him very well because he plays aggressive and is a good hand reader. Also, not having to fight with other good players to get the money off of the bad players just seemed to be the best thing for him. Before he knew it, he was earning mroe money playing HU in his spare time than his full time job. That’s when he decided to give the professional poker life a try. At the beginning of September, 2008 Matt quit his job to pursue poker as a career, so that he could have more freedom with his time. 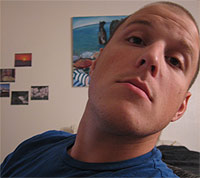 Trevor started playing poker in 2002 during his sophomore year of college. He started out by depositing small amounts online and won a little here and there before starting to take trips to Atlantic City even though he was underage. In his senior year of college Trevor starting skipping class to play cards and often put in 2-3 day sessions without stopping. After graduating in 2005 he decided he could do this for a living so he started grinding live cash games ranging from 1/2 to 5/10 mostly at the Tropicana. He still played online and live tournaments here and there and had some decent scores for a while including a couple of wins in the 3 rebuy on PS and a couple of live final tables in the Trump Poker Classic, Borgata Summer Open and WSOP Circuit at Harrah’s Preliminary events. About a year ago Trevor switched completely to live cash games and discovered Heads up NL which is what he currently plays. His biggest poker accomplishment thus far is the development of his Heads up Training program and the results it has gotten from his students thus far. Trevor’s loyalty to FCP extends beyond the forum. In December, 2005 Trevor made a surprise appearance at Daniel Negreanu’s Protege launch party at the Hard Rock Cafe in Toronto. He drove for about 10 hours from New Jersey to meet up with members and meet Daniel – a true FCPer! 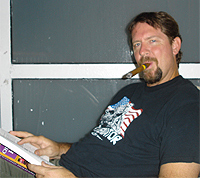 Ray started playing poker after the boom in 2003. He started out playing $20 tournaments with friends and then followed that up with a lot of $50 deposits online. Turning pro started with a $200 deposit on FCP. He then won a Daniel Negreanu Poker Protege freeroll where he won $200. This doubled Ray’s bankroll to $400. At the time he didn’t care for FCP’s poker software so he decided to blow his cash playing a $100 MTT. He took down 4th place for over $4k and withdrew all but $700. Of course that changed his thoughts as he instantly started liking the software by then and played way out of his roll at 1/2 NL cash games. He ran that up quite a bit and never looked back. During this time Ray was working as a temporary position at a factory when they decided to hire him on full time. He got the good news on a Friday and that he’d be going for his orientation on the Monday. However, Sunday comes around and troyomac took down $8k in a tourney, giving himself a $20k bankroll. He went out for beers with his buddy that night who convinced him to turn pro. So that’s what he did, Ray called up the factory Monday morning and said he wasn’t coming back. These days you can find troyomac playing anywhere from $20 to $500 buyin MTT’s and when he plays cash games, it’s usually 5/10 NLO8. His biggest score was recently for 2nd place in a 65k guaranteed tournament where he netted just under 18k. 25 year old Mike Hefer started playing in his fraternity’s Thursday night $5 fun game. His competitive drive drove him to start reading poker books so he could beat his friends more consistently. As a Christian, Mike’s always been a big fan of Daniel. When FCP opened as a poker room, Mike deposted $100 as his first real foray into online poker and won the very first $5 MTT he played for about $400, and there was no turning back. Mike tried hard to get into the first Protege tournament and was crushed when Brian Fidler put a pretty sick beat on him in the step tournament that eventually got him to the final table, the protege-ship, and 200k+. Mike told his wife that he was going to make the final table next time and she kind of laughed at him. To increase his chances of landing a seat at the final table, Mike decided to grind cash game hands to qualify for a few seats. He grinded PLO and O8 playing enough hands to qualify and then won the tournaments to make it to the protege final table where he got some great insight into his game from Daniel and Joe Navarro. “After the initial disappointment and tilt, I had a lot of encouragement that I had to have been doing something right to get there,” Mike said. Mike’s most recent trip to Las Vegas got him 13th in the $1,500 stud 8 at the 2008 WSOP, knocking out Men Nguyen and crippling David Singer on the way. These days, you can find Mike online in the mid limit HORSE, stud 8, and PLO games, as well as working on his heads up NL game. He’ll also play live at the 2-5 and 5-10 NLHE and PLO tables, whereever the games are best at the time. Zach hails from Thunder Bay, Ontario (Happy Canada Day) and is a well respected member of the FCP Community. He’s best known for being a heads up limit hold’em specialist. 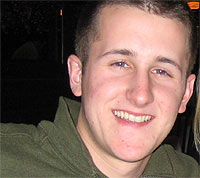 A gambler at heart, Zach stumbled in to online poker and made his first deposit in 2005. He went on to lose thousands of dollars before finding the FCP Strategy Forums, where he discovered it was a game that could be beaten and that there was a community of members looking to help each other improve. In January, 2007 Zach began playing professionally and has since grinded his way up to the 10/20 and 15/30 heads up limit hold’em games. He became a dedicated and respected member of the forums and was helping a lot players get their game on track by providing input from their hand histories. As his visions for the forum grew, so did FCP. In February, 2008 Zach earned moderator privilages in the Strategy Forums to help put his plan in action. It’s since become a cleaner, more active forum with proper guidelines in place. While his ‘bread and butter’ game is limit hold’em, Zach’s tournament play still shines. 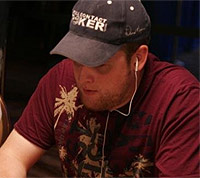 He recently just missed the final table of the 2008 WSOP $1500 Limit Hold’em event, finishing 11th for $14,774. It’s just a matter of time until he takes one down and earns his first bracelet. Justin started playing poker when he was 15 (6 years ago) and became an online pro just 3 years later. Since grinding his way up in limits, he now plays 10/20NL and 25/50NL Heads Up mostly online with some shorthanded and full ring games included. He recently finished 20th in the $2500 2-Day FTOPS and in February he final tabled a televised 2008 Heartland Poker Tour (HPT) event where he finished 6th. He followed that up with an impressive 9th in the following HPT Event. In 2007 he finished 2nd at the Fall Poker Classic for $18,500. Justin has been a member of FCP since August of 2005 and is renting a house with a bunch of other FCPers for the duration of the 2008 WSOP. You can find him playing the 10/20NL cash games throughout Las Vegas, although we don’t recommend sitting at his table (-ev) . PS We also love his obession with our forum smilies! 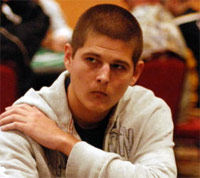 UPDATE: Justin recently finished 3rd in the 2008 WSOP $2500 No-Limit Hold’em Six-Handed event, for $214,139! Congratulations Fluff, you’ll get the bracelet next year. UPDATE: Fluffdog Wins $555 WSOP Circuit Event winning $30,000 and a $5000 WSOP Main Event seat. Grinder started playing poker 4 years ago when he was 16 years old, after seeing Edward Norton make the game popular in the movie Rounders. He started out like most poker players, in small stake games with friends whenever a game was going. Shortly after, he started playing small stakes online to get a feel for the game, losing consistently in the beginning. As his skills developed, he moved to $20 tourneys and had a 4 day winning streak of final tables. He built up a respectable bankroll while in school but felt that he just wasn’t that good of a player. He ended up dusting off the bankroll and met bkice. He became his coach, and a great friend who taught him the ropes. From there he began grinding his way through tournaments and has final tabled many of the major tourneys including the Sunday Million, Sunday Warm Up and Second Chance on PokerStars. That’s something not many players can claim. His main game is freeze out tournaments and he doesn’t play cash games at all anymore as they are simply not as profitable for him. GrinderMJ has been a member since July of 2005 and contributes daily to the FCP Poker Forums. Living in Columbus, Ohio, Jordan is a NL Hold’em cash game specialist. He started playing poker in 2004 after joining a game with some friends at a party, little did he know a few years later it would become his profession. If experience has taught Jordan anything, it’s how to properly manage a bankroll. Like many others before him, Jordan has experienced the highs and lows of a poker career. He’s busted from playing outside of his bankroll, he’s won thousands in tournament wins and constantly grinds a bankroll in NL Cash games. He has taken breaks on and off, lived in Guatemala for 3 months, going to Africa in the summer and has always known mentally when he’s ready to return to the game. “If you play for a living, it’s good to have a hard work ethic, but it’s also good to give yourself breaks and enjoy life. That’s what I believe, and I don’t intend to give up experiences at the chance of making a few extra dollars,” Jordan said. Jordan is a solid contributor to the FCP Forums and is highly respected amongst his peers. Despite his relatively good tournament success, he hates playing them. He currently spends his time playing 2/4 – 5/10 HU cash games and plays major online tournaments on the side. Balloon guy is a well respected member of the FCP Community. He’s very entertaining and has a great sense of humor. One of his all-time best posts is still regarded as one of FCPs best, “Once in a Lifetime Opportunity“. He’s played in a weekly home game for over 3 years, and has won enough money online to buy very good cigars. But nowadays most of his online games are with FCP community members in nutbar sessions or mixed game Neg Os. A successful business man, married with 4 kids, he recently married his youngest one off and is now in the process of turning her bedroom into a poker room. His other interest include cigars, flying, golf and cigars. Women want him, men fear him, fish mock him, Balloon guy’s prowress at the tables can easily be summed up in just one word: Strategery. Mr. Balloon guy actually does blow up balloons. He worked on the 1996 Republican convention balloon drop, 2000 Democrat convention balloon drop, 2004 MTV Video Music Awards show in Miami, 2 Superbowl halftime shows, and countless large events throughout the country. Not only does BG represent the average recreational poker player but he’s also very generous. September’s featured member, GWCGWC auctioned off his one-hour phone consultation with Daniel. Balloon guy outbid everyone with a massive $1250 bid. Daniel Negreanu matched it and all proceeds went to a local charity: Teen Challenge House of Promise. Balloon guy’s classy, freewheeling personality is one that is truely unique and is very deserving to be this month’s Featured Member. He’s been a member since May of 2005 and we hope to see him around for many years to come. 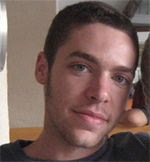 Bart, known at FCP as “monix”, primarily plays for the challenge and fun of the game. His first exposure to poker was playing in a $100 neighborhood tournament four years ago this month; after spending two hours at an online play money ring game, he somehow took down 4th place (out of 27). In his second tourney a few months later he was first to bust-out in 20 minutes, but he was hooked. He joined FCP in November of 2004, played LHE for one year, moved to MTT’s and Sit ‘n Goes, and then to NLHE ring games (all at low stakes). He has been primarily active in the Tournament Strategy Forum. In 2007 he started to play live $2/$5 NLHE and did quite well. Toward the end of the year he started learning Omaha and Omaha 8 or Better – he has taken Daniel’s plea to learn all the games to heart. Last month Bart went to Tunica to play his usual lower limit tourney and cash games, but went on a terrific run and ending up taking down the WSOP Circuit Main Event, along with $428,000, a ring and an entry into this year’s WSOP Main Event in July. Coming soon to the General Forum will be his trip report, and a “well” where your questions will be answered. A dedicated member since January 2006, TJ is a well respected member of the FCP community. Not only is he a great contributer to the forum, he’s also seen a lot of success in major online tournaments. TJ won the PokerStars Sunday Million and the FTP $750k, winning a combined $233,000 in the process. As usual, FCPers were in full force railing TJ all the way through which gave him instant status in the community. Afterwards he gave back to the community by staking 5 members in the PokerStars Sunday $100k and 1 member in the Sunday Million. TJ is strictly a NL Hold’em tournament player but plans to take on more circuit events in 2008. FCP wishes him the best of luck in the new year.